We are offering for rent a spacious 2 bedroom, sun-lit, 2-story, all-season townhome at the Lakeridge resort community in the CT foothills of the Berkshires. The master bedroom has a 25’ ceiling, has a king-size bed and full bath en suite, plus a walk-in closet. The 2nd bedroom has a full bath and closet. Linens are included. A full kitchen with all dishes, pots and cutlery is right off of the dining area. The comfortable living room has a 40’ cathedral ceiling and includes a wood-burning fireplace. 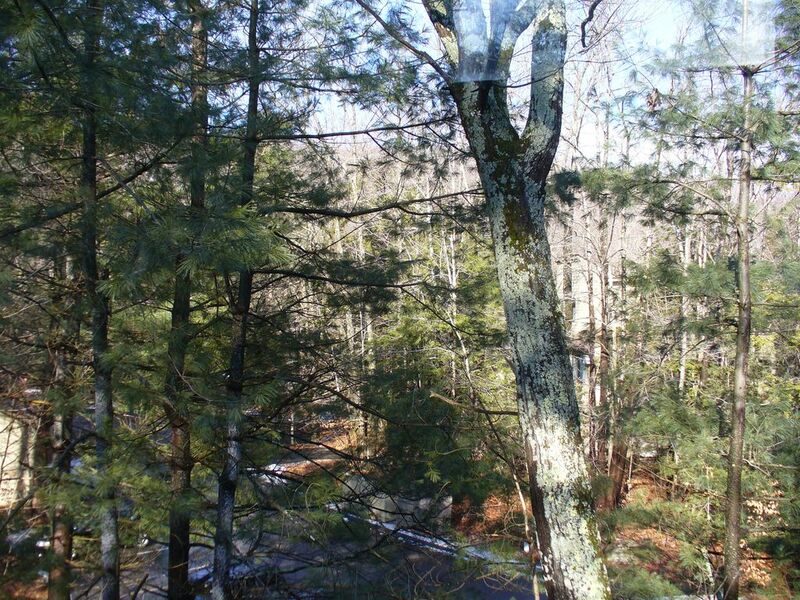 The townhome is in a wooded, natural setting offering quiet and seclusion. The gated complex is on 235 acres with 24 hr. security affords recreation for the whole family, with 19 tennis courts, indoor and outdoor pools, a recreation center with fitness center and game tables, hiking trails, horseback riding, playgrounds, putting greens and garden plots. Walk to the pond and go swimming off the sandy beach or fishing. Skiing, sledding and skating are available in the winter. There is a day camp and many other children’s activities. The community backs on to Burr Pond State Park with many hiking trails and a boat launch. Local attractions include the famous Elephant Trunk flea market in New Milford. Other excellent flea markets, antiquing, and farm stands are nearby, plus there is a Saturday farmers market in Torrington. Convenient shopping can be found in Litchfield, Torrington and Winstead, plus many fine restaurants. Live theatre and concerts come to the historic Warner theatre in Torrington. You are 45 minutes to Tanglewood. An entrance to the Appalachian Trail is 15 miles north on Rt. 8. Lakeridge is conveniently located in the northwest corner of Connecticut, 10 miles south of the Mass. Border and minutes from Litchfield. Just 5 minutes off exit 46 on Route 8. 2 hours from NYC. 1 hour from Hartford. 2.5 hours from Boston. 1 hr. from Albany. Relocations and employment contractors are most welcome. My husband and I live in a large city but we enjoy the quiet of the country side. We have treasured visiting Lakeridge for years. We live too far to visit often and would like to share this special place with others. We love the drive through the woods and past lakes and streams to get there. My parents bought the townhome many years ago and passed it along to us. At Lakeridge CT, you feel part of a vibrant resort-living community while enjoying your own spacious home. You get the benefit of full-time recreational staff plus many activities in and around the community you can do on your own. You can walk to all the facilities within the community. Cable is available upon request only and will be charged to the tenant. Thank you, your review is much appreciated. You were great tenants. The house was clean and tidy . While not updated everything worked well and the kitchen was well equipped. The owner was pleasant to work with. Internet was very good.. Lakeridge was very nice well maintained and the residents very friendly. We stayed at this beautiful house for a month and absolutely loved our accommodation. The house is so airy and spacious, very tastefully designed. We felt totally at home there, so cozy and comfortable. Every single detail in the house is taking care of, starting from every cooking and dining need to plentiful of fresh towels, sheets and blankets. The owners are very understanding, easy to reach and communicate to. They immediately responded to every request or question we would have. They made us feel very welcomed there. There are so many things to do around in the community and in the area around, so many unique restaurants, farms, and places to see. We fell in love with Connecticut and its people. We are looking forward to come back soon. Thank you so much for sharing this wonderful house with us. Our family enjoyed a wonderful month of August in this home. The house came complete with everything you would want in the kitchen, as well as a warm atmosphere in the living room. The surrounding trees gave us the feeling of waking up in a forest. Yet it was close to the lake, the pool, tennis and hiking. All in all, it was a wonderful experience we look forward to repeating. Sue and Ed From Mo. We loved our stay at Lakeridge! Its a beautiful place with a lot of fun things to keep you in shape! We loved the tennis courts and the indoor pool with spa was so relaxing after work! The lake next to the condos is also a beautiful area. And at the bottom of the hill the 3 mile walking trail was a great place to walk or run!! This review sums up the Lakeridge community so well! It is just a 5-minute walk to the indoor pool and tennis courts from our house. Lakeridge is a great gated community with plenty of activities so accommodations are of secondary importance. This condo was well equipped and conveniently located within the community. Owners were very accommodating. The overall condition of the condo was average. I would consider renting this unit again. The security deposit is one month's rent. The electric bill is extra. Cable is not included.